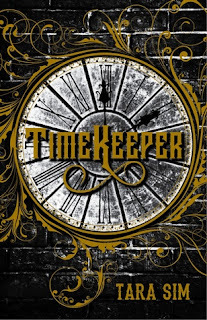 Now I don't like comparisons to other authors and other works...and I'm not a fan of Cassandra Clare but I still think that Timekeeper sounds brilliant. I'm a sucker for anything related to time-travel or time itself and though the concept doesn't always deliver for me, I can't help but being drawn to it over and over again. Add that to an alternate Victorian London and there was simply no way to resist this one! The way 'time' is handled here sounds really fresh, I love that it features a male narrator and a possible LGBT romance with a spirit?! Give us the precious now! Sounds like a good book and the cover definitely catches my eye. Hope you love it and I've actually never read a Cassandra Clare book so I have nothing to compare it to - and I hate comparisons as a marketing tool so that's a good thing! Ooh, this one sounds super interesting! I'm already a sucker for Victorian-esque novels, so this is definitely one I want to check out. I'm a sucker for time travel, I may get burned but I'll still keep coming back lol. And the alt Victorian setting doesn't hurt either. Plus time actually stopping- that's different. I like it when there are new twists. Great pick! Loving the sound of this one! I'm not a fan of comparisons either though, but I love me some Cassie Clare so I'm intrigued. I'm curious about this book! The cover is so cool, and it's definitely a genre I enjoy. I believe I saw it on Edelweiss. I hope you enjoy this book when you get a chance to read it!